Today is my daughter's birthday and I decided to host a wedding dress hanger sale starting today. It will run through 3/18/2013 at 12:00 a.m. This will go hand and hand with my bridal hanger giveaway. 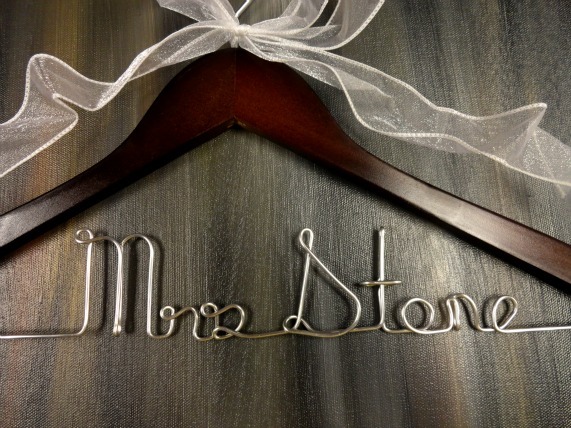 I am offering 20% off of most of my bridal hangers. This sale is not valid in conjunction with any other discounts. Please visit my site: Amy's Original Bridal Hangers to view the sale items. I think I followed the directions to win a hanger? my name is Kat Watson and email is kat.watson8@gmail.com =) and happy belated birthday to your daughter!